Dameon Pierce, RB, 5-11/205, Bainbridge (2018) – Despite being the Bearcats only true offensive weapon Pierce proved to be hard to stop. He managed 1,686 yards rushing and 20 touchdowns on 243 carries. He was also a threat in the passing game catching 20 passes for 248 yards and one score. Kelias Williams, QB, 5-10/200, Thomas County Central (2017) – Williams season was cut short two games due to an injury but he definitely proved to be the offensive spark plug for the Yellow Jackets. He completed 51 of 102 passes (50%) for 1,124 yards and seven touchdowns versus three picks. Williams carried the ball 136 times for 934 yards and 18 touchdowns. Kerenski Williams, SS/LB, 6-0/185, Bainbridge (2017) – Williams lead the Bearcats in solo tackles with 84. He was also the team’s leader in tackles for loss with 16. Williams chipped in five fumble recoveries, one sack, one forced fumble and one INT. Franklin Stephens, Ware County (8-4/4-0) –Stephens led the Gators to the Region 2-AAAAA Championship and a quarterfinal berth in the GHSA playoffs. The Gators outscored their four Region opponents 133 to 25 this past season. In ten seasons as a head coach in Georgia Stephens has accumulated an amazing (120-16-1) record. RJ Cummings, LB, 6-1/225, Carver (2017) – Cummings was a tackling machine that wreaked havoc in the backfield in 2016. He led the Tigers in sacks with 11 and was tied for the lead in tackles for loss with 24. Cummings recorded 124 total stops, 23 QBH’s, seven pass break-ups, two picks, two forced fumbles and two fumble recoveries. John Michael Owens, QB, 5-10/175, Cairo (2017) – Owens was the trigger man for the top GHSA-AAAA team in South Georgia. He completed 175 of 284 passes (61.6%) for 2,027 yards and 20 touchdowns versus eight interceptions. Owens also added two rushing scores for the Syrupmakers. AJ LaGrand, LB/S, 5-10/180, Carver (2017) – LaGrand led the Tigers in total tackles with 145. He also recorded 18 tackles for loss, 22 pass break-ups, three interceptions, one forced fumble and one fumble recovery. Steven Devoursney, Cairo (11-2/7-0) – Coach Devoursney led the ‘Makers to their first double digit win season since 2011. Cairo was an amazing plus seven in the win column over last year while making a trip to the State Quarterfinals. The Syrupmaker defense gave up two touchdowns or less in nine of their 13 games. Markaviest “BigCat” Bryant, DE, 6-5/235, Crisp County (2017) – Bryant is one of the most sought after pass rushers in the country. This past season he racked up 102 tackles, 66 quarterback hurries, 36.5 tackles for loss and 15.5 sacks. Bryant also chipped in six pass break-ups, two fumble recoveries and one pick. Jaalon Frazier, QB, 6-3/190, Liberty County (2017) – Frazier came out of nowhere to lead the Panthers to their best season in school history. The dual-threat signal caller completed 167 of 295 passes (56%) for 2,878 yards and 41 touchdowns versus just four picks. Add to that his rushing total of 1,250 yards and 15 touchdowns on 152 carries. Stetson “Mailman” Bennett, IV, QB, 6-0/175, Liberty County (2017) – Bennett is a pro-style quarterback with the ability to make unscripted yards with his feet. As a senior he completed 248 of 399 passes (62.2%) for 3,724 yards and 40 touchdowns versus seven interceptions. He also carried the ball 79 times for 490 yards and six touchdowns. Brandon Doe, RB, 5-10/175, Cook (2018) – The day of the two thousand yard rusher are limited with all the pass happy offenses taking over the landscape. So that makes Doe’s rushing totals even more incredible considering he only played 11 games. He carried the ball 272 times for 2,157 yards and 16 touchdowns while snagging four passes for 119 yards and a score. Ahdarrious Gee, LB, 6-0/190, Crisp County (2019) – Gee is the only sophomore to be recognized as one of my South Georgia Players of the Year. This past season he racked up an incredible 208 tackles in leading the Cougars to the GHSA-AAA State Semifinals. Gee also chipped in 26 tackles for loss, 23 quarterback hurries, seven pass break-ups, two fumble recoveries and one sack. Richard LeCounte, III, WR/S, 5-11/175, Liberty County (2017) – LeCounte has been a difference maker for the Panthers since his freshman year and that is why he is one of the most coveted players in the country. As a receiver he caught 39 passes for 800 yards and 17 touchdowns. Defensively he recorded 100 tackles, 11 tackles for loss. 1.5 sacks, two picks, seven pass break-ups and two forced fumbles. LeCounte made his mark as a return specialist averaging 37.2 yards per kickoff return and 27.9 yards per punt return. Shelton Felton, Crisp County (13-1/4-0) – Coach Felton led the Cougars to their first 13-win season in school history. Crisp County also made the State Semifinals for the first time since 1995. The Cougars accomplished these feats with a harassing defense that recorded 43 sacks and forced 36 turnovers. 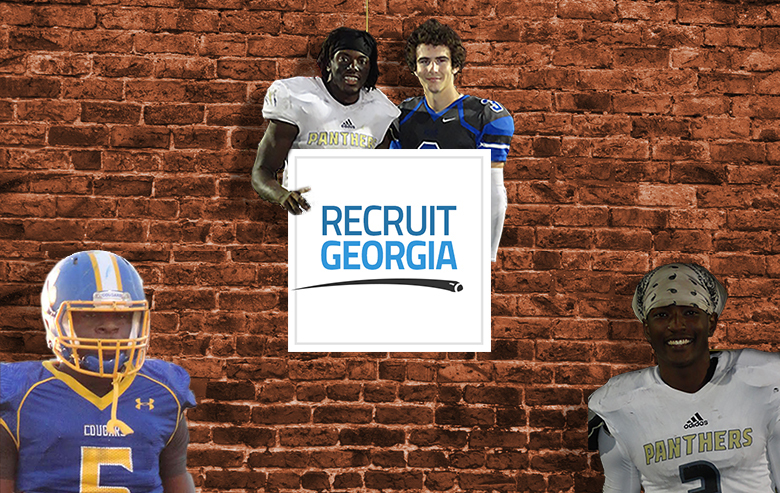 Four of the top five tacklers for Crisp County return next season along with their leading passer and rusher.